Golf course owners are faced with a multitude of external factors. In addition to those faced by any business, such as competition, variable demand and wage pressures, golf courses are organic in nature and constantly subject to the whims of Mother Nature. Add changing demographics, rapidly evolving technologies, and even a fundamental change in how people choose to spend discretionary income and time, and it becomes easy to understand how differently golf courses perform across the spectrum. While the complexity can be overwhelming, there are often significant opportunities that can be found simply by taking a comprehensive look under the hood. Sunrise Golf’s approach to golf operations and marketing is to begin from within. Starting with people, systems, processes, controls, pricing, service levels, brand & identity, course conditions and facility readiness, our objective is to optimize a golf course’s position within its competitive set. Tighten the operation. Build market share. Cultivate a brand. Leverage new technologies. Take customers off the market. That’s our process. It’s just like the game itself, where the benefits of improving a golf swing are far more enduring than the short-lived results that come from the latest fad. Everything we do at Sunrise Golf begins and ends with passion. It’s a criterion we use during our hiring process helping us build a team of highly motivate people capable of great things. It’s passion that fuels us to consistently over-deliver for our clients and helps us outperform our competition. We believe at the most fundamental level relationships should be a two-way street. Whether with vendors, clients, customers, or co-workers we seek to create win/wins. At Sunrise Golf we also believe in taking a holistic approach to relationships and think about more than just what is in front of us, but the potential created with a true partner. In every aspect of our business we seek to not just stay ahead of the curve but to operate on the cutting edge of an ever-evolving industry. We strive daily to analyze and anticipate both obstacles and opportunities allowing us to not just avoid pitfalls but vault ahead while others fall behind. Vision keeps us focused on our goals and helps us to find the optimal path to achieving them. We are fanatical about building a culture of execution at the clubs we manage. We also bring that philosophy to the projects which we oversee. We know that it’s only through the discipline of day to day execution that anything is possible, and the best laid plans are pointless without execution. Mark is recognized by his peers as one of the foremost critical thinkers in the golf industry. His reputation was earned not only from his unparalleled market and property experience but his track record for succeeding where others failed. Few have his working knowledge of all facets of golf asset management and operation or his fundamental understanding of how to maximize guest satisfaction and profitability without sacrificing either. Before entering the golf industry, Mark worked in both the association management and facility management industries. Leveraging this experience, Mark joined American Golf, the world’s largest golf management company as a single course operator and ultimately assumed operating responsibility for over 75 clubs with combined revenues of $220 million. He also developed and launched multiple national initiatives including a turnkey frontline training program for every public, daily fee, and resort property, a coaching program required to be completed by every property GM in the entire company, and a comprehensive operational assessment system that became the standard for evaluating new and existing courses. 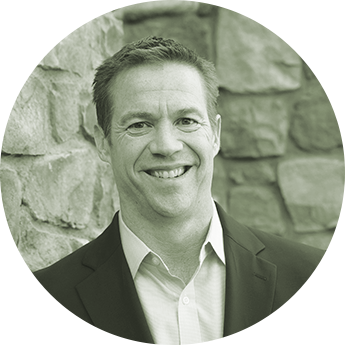 Thanks in part to his depth of experience helping high end properties in destination markets, Mark was recruited and joined Walters Golf in Las Vegas as their Executive Vice President of Golf Operations. During his tenure he helped guide this group of top tier properties through the tumultuous period following 9/11. He was recruited and joined Leisure Industries, a time share/land development company, as their Vice President of Golf Operations, to build an in-house golf division for the purpose of acquiring and managing golf properties. It was at this point Mark felt the conditions were right to follow his dream of starting his own golf course management and consulting firm and launched Sunrise Golf in early 2003. In addition to being directly responsible for improving the operational performance of literally hundreds of courses, Markis a highly regarded speaker. He is regularly asked to share his knowledge at major industry conferences held by the Crittenden Publishing Group, the National Golf Course Owners Association, the National Golf Course Owners Association of Canada and many other regional golf and hospitality associations. 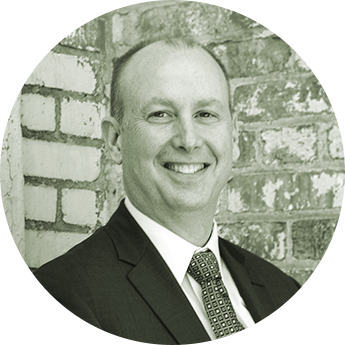 John’s professional background is highlighted by success in a wide array of disciplines, including operations, sales and marketing, and project management in the golf, hospitality, and real estate development industries. Throughout his career, John has demonstrated a unique ability to develop compelling brand identities, and then align an operating platform with a brand vision in a way that is effective, economical and sustainable. After starting his career in the commercial real estate industry in Los Angeles, John joined American Golf Corporation in 1996. Starting as a single course operator, John enjoyed a rapid ascent through AGC, ultimately overseeing the company’s portfolio in Phoenix, New Mexico and Hawaii. John also led the implementation of a company-wide service training program and spearheaded the development and rollout of several national initiatives. In 2002, John joined Lowe Enterprises, a national real estate investment and development firm, and its hotel management subsidiary, Destination Hotels & Resorts (DH&R). Beginning with the development of Stone Eagle Golf Club in Palm Desert, John also helped Lowe secure a resort development agreement from the City of La Quinta for SilverRock Resort. In 2007, John took on a multi-faceted role in the opening of Terranea Resort, a $500 million oceanfront destination resort in Rancho Palos Verdes. There John spearheaded the opening of the resort’s award-winning golf course, The Links at Terranea. Additionally, John was instrumental in evolving the resort’s branding and marketing platform. In 2010, John joined Sunrise Golf to grow existing operations and expand the company’s management portfolio. In addition to leading the company’s managed courses to double-digit same store growth in 2010 and 2011, John has secured and executed several complex consulting assignments for Sunrise Golf. John is a graduate of Stanford University. 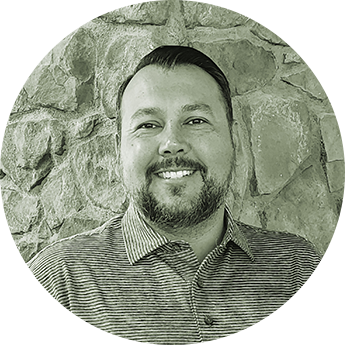 As Director of Revenue Management, Rich is responsible for the development and implementation of Sunrise Golf’s cutting edge yield management strategies across its portfolio of courses. Through the adaptation of tactics and leveraging of technology utilized for years in analogous travel and hospitality industries, Rich has helped Sunrise Golf’s courses consistently outperform their competitive sets in RevPAR and market share. Rich started with Sunrise Golf in 2009 as Director of Sales at Escena Golf Club in Palm Springs. His passion for service and execution quickly led to a promotion to Director of Golf at Escena. This experience, in conjunction with understanding of golf management technology, allows Rich to provide Sunrise Golf’s clients with a comprehensive approach not only to driving revenue, but to the training and execution that are critical to maximizing a property’s potential. Rich is experienced with a variety of golf business management systems, including EZ Links and Golf Now. Rich graduated from Oral Roberts University in 2009 with a BA in Communications.